Mantis ULV-Sprühgeräte GmbH started in 1975 with the development, production and sales of specialised ULV spraying systems (UVL = ultra low volume) for a variety of applications. At the heart of these ULV spraying systems lie various patented, ULV rotation atomisers. These atomisers, whether horizontal rotation discs or segment rotation atomisers with vertical rotation discs, enable the efficient and resource-reducing distribution of liquid formula treatment products of varying viscosity. The undiluted liquids are sprayed without pressure and in even droplets. 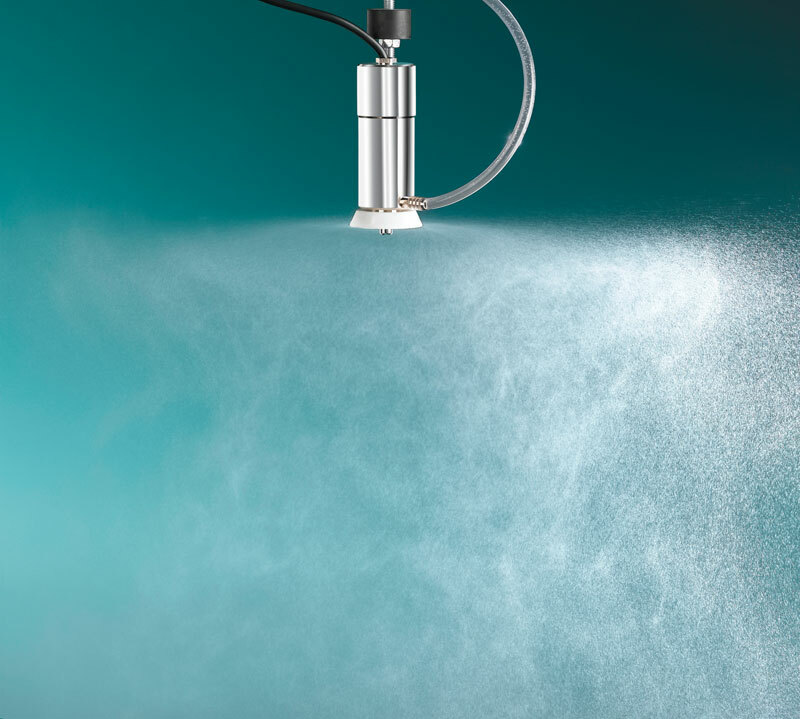 Over the years, Mantis has been able to build its expertise and now offers a full and wide range of optimally designed spraying systems for many professional applications. For weed control, MANKAR® ULV spraying systems are used to apply undiluted liquid herbicides, whereas BioMant and Herbi sprayers have been designed for weed control without the use of chemicals. MAFEX®-Potato/Fruit fine spraying units are optimised for crop protection, e.g. for potatoes and citrus fruits and MAFEX®-Silage spraying systems are used directly on the chopper for an even distribution of silage additives. With ROFA, insects and air-borne germs can be tackled. Finally, Mantis offers various specialised MANTIS ULV spraying systems for industrial applications, e.g. the application of release agents in the concrete or food industry. Through our global sales network, which comprises of independent sales partners, our sprayers are available in most countries around the world. Beyond the range of solutions we offer, our partners can also help you with the service and spare parts that you might need in order to optimally maintain your sprayers. You will also find us, and our partners, at many international trade shows, where you will be able to find out more about our products and which spraying solution is best suited to your needs. Mantis is continuously working on the optimisation and further development of various spraying systems. In parallel, we are also looking at new application areas for ULV technique and new, efficient and environmentally friendly solutions. You can read more about current projects in the Research & development section of this website. We continuously strive to make the best quality sprayers that suit the needs and continuously evolving demands of our clients.